What did you love best about Storm Warning? I actually liked the narrator. ...what a silly question. This is book 1 of a trilogy that takes place directly after a trilogy that takes place a few years after a trilogy. There are endings? What does David Ledoux bring to the story that you wouldn’t experience if you just read the book? A lot of people complain about this narrator but he's better than the one they got for the last herald Mage trilogy who mispronounced simple English words like bow. I could do without the raspy voice for some characters but otherwise I found him enjoyable to listen to. 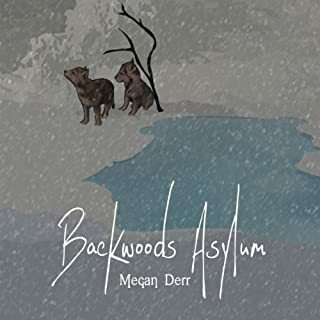 What made the experience of listening to Backwoods Asylum the most enjoyable? I like that it's an enjoyable little story. It's about shapeshifters, but there isn't a bunch of running naked through the woods or fighting with their natures or any of that sort of overdone thing. Just a man that can be a snake rescuing some wolf-shifter puppies. His tone really set the easy going light feeling to the story. The small press this story comes from is for homosexual romances, so if that's not your thing, move right along. Also, this is a short story, and I'd advise buying it rather than using a credit due to it's length. Maybe if I had read it before spoilers? Would you listen to World of Warcraft: Jaina Proudmoore: Tides of War again? Why? Yes. 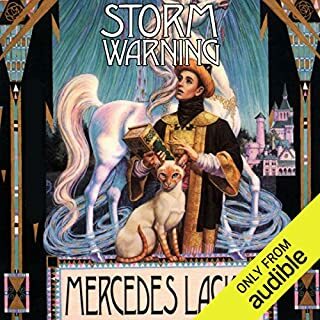 Because audiobooks are expensive, the narrator's voice isn't bad, and the story is good. 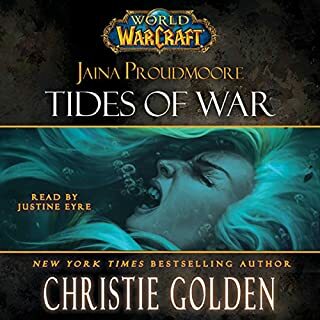 What other book might you compare World of Warcraft: Jaina Proudmoore: Tides of War to and why? None, really I haven't listened to any of the other Warcraft audio books. 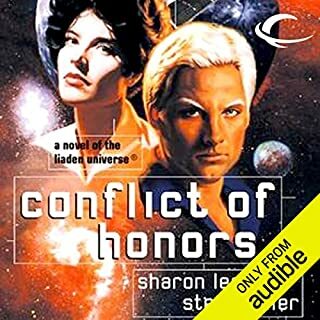 Audio books in general are great because you can do other things while "reading." it also allows you to focus more in the story than if you are a speedy reader like I am. Justine does an acceptable job as a narrator, and I would definitely listen to her work again. This is a fantastic companion novel for those who play World of Warcraft. I picked it up because I'm the leader of a role-playing guild on WoW and the lore in it is practically essential to being able to understand the scope of Garrosh's actions. The story itself is good, the romance in it seemed vaguely forced, but I've never been a fan of that particular male character. The best parts to this horde player were the parts showing Baine and Vol'jin's unease with the entire situation. I most certainly will be buying an audio book version of the next novel when it is released.